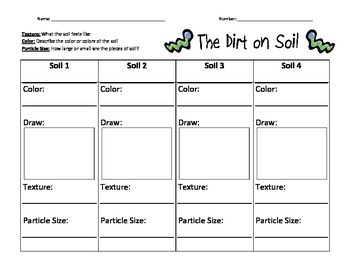 This is an observation sheet I used to allow students to observe sand, clay, loam, and silt. We poured it into a plate and they were able to draw, touch, rub, and describe what they saw. This also goes along with the science standard that wants students to keep and not alter records.